We understand buying a new air conditioner is a big investment. To make things affordable and at a reasonable cost, Nature Air Corp offers many financing options. With financing, you can make your purchase at ease, by making low monthly payments at an affordable price. 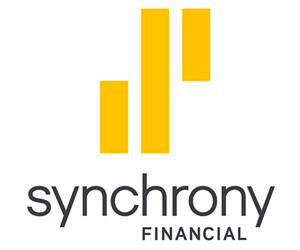 Our primary financing or "1st Option" financing is available through Synchrony Financial. The payoff periods of 6, 12, or 18 months 0% APR. Also, low-interest plans for up to 132 months are available. We also offer a "second-look" option through Fortiva Financial Retail Credit. If our prime lender turns you down, Fortiva usually approves credit-challenged customers with a second-look financing program for sub-prime and near prime credit scores. In the end, "good" credit or "ok" credit...there's a plan for you. This second-look financing program is also available for all brands of equipment we sell, with several financing options available. Starting in 2019, we will offer a quick & easy rent-to-own based financing program that does not require a credit check. This program is for individuals who do not qualify for traditional financing due to a low credit score or past financial problems. This program is available through Microf with affordable monthly payment options. This program is designed for homeowners that have a valid ID, active bank account, and steady income. Starting in 2018, we will be offer up to 60 month 0% APR financing on qualifying HVAC equipment installations. This program is ran through GreenSky and includes options for 36, 48, or 60 month financing. Specific brands apply. Ask for more details.